Have extra scraps lying around? Why not turn it into a project! 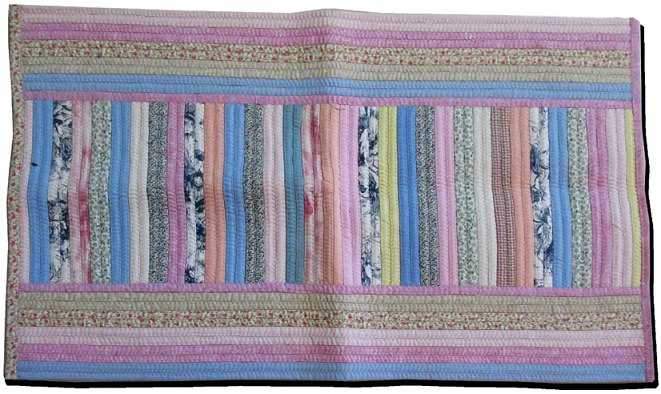 This fun rug or placemat can be made from the scraps of batting and fabric that you can't seem to part with. The best part is you don't need much of anything! You can make it totally random or choose only a couple colours to calm it down. Black and white prints look great as do a combination of jewel tones, brights or pastels- the choice is yours.